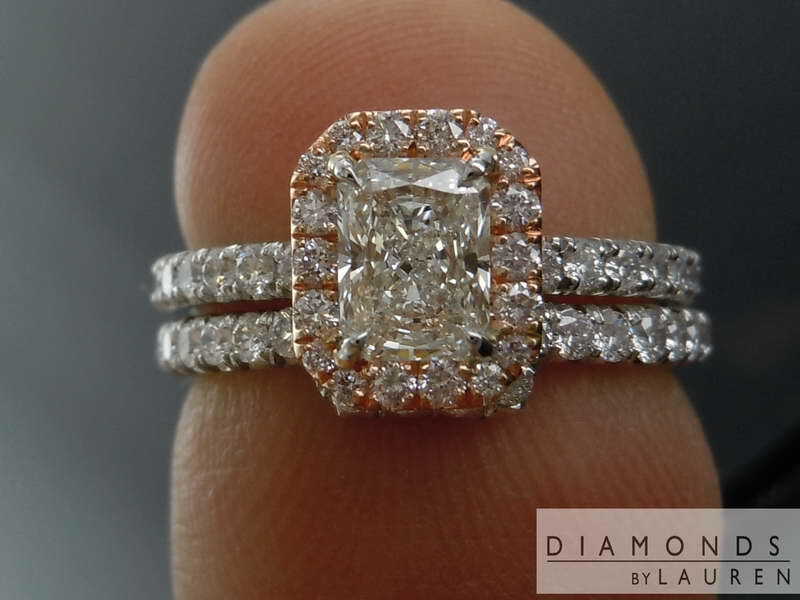 Here's a gorgeous "Shadow Band". 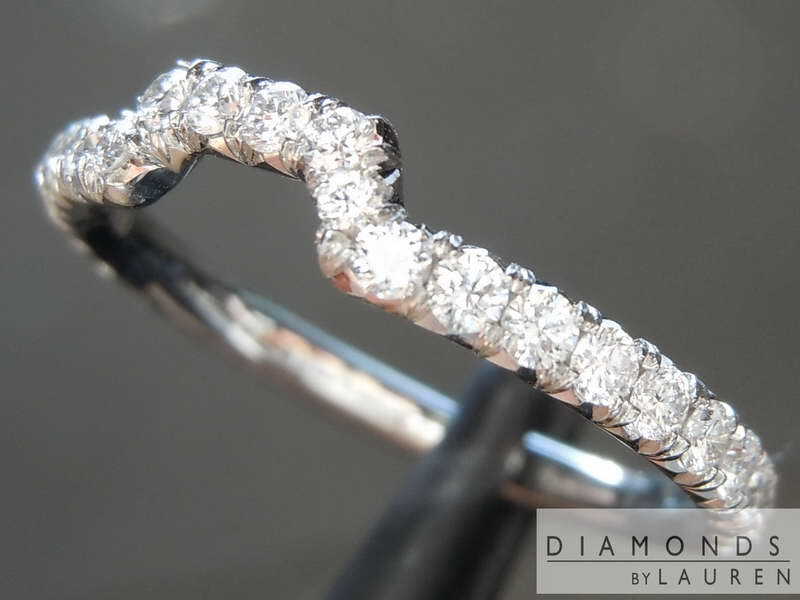 We can make this type of ring to perfectly wrap around any engagement ring. The reason you're seeing this is that I screwed up. 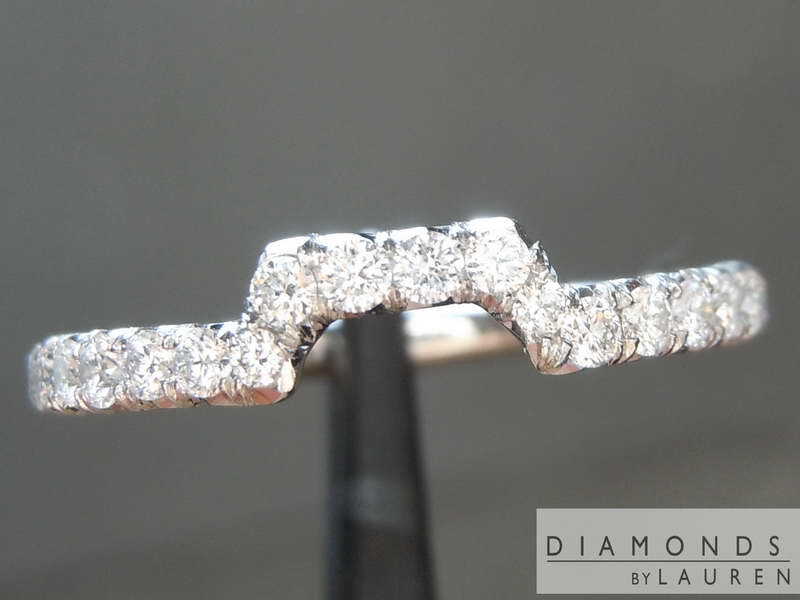 Our client ordered a straight band, and I told the guys to do a fitted band. This is a super special price as the original price was $2995. The price is as is. 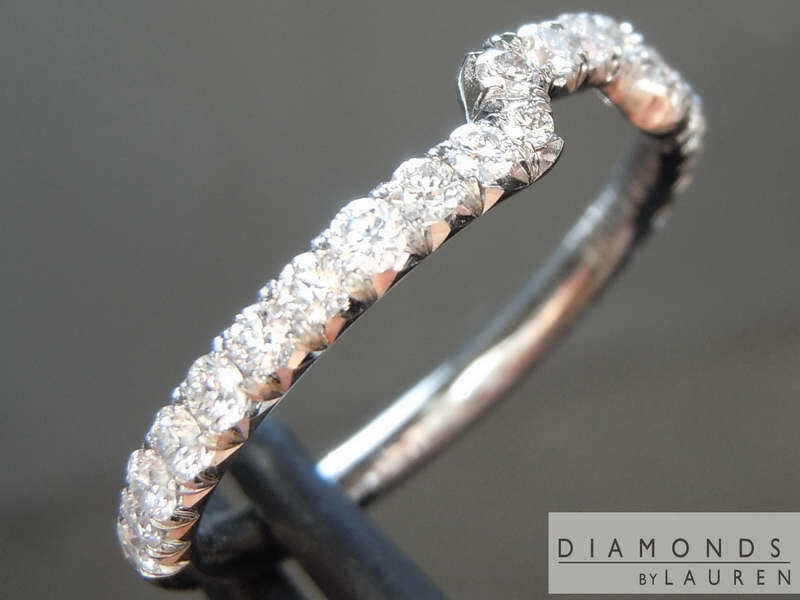 This band will go well with a range of sized center stones. Shown with R6896 (not included with this listing). The design will allow it to fit next to many different sorts of rings. 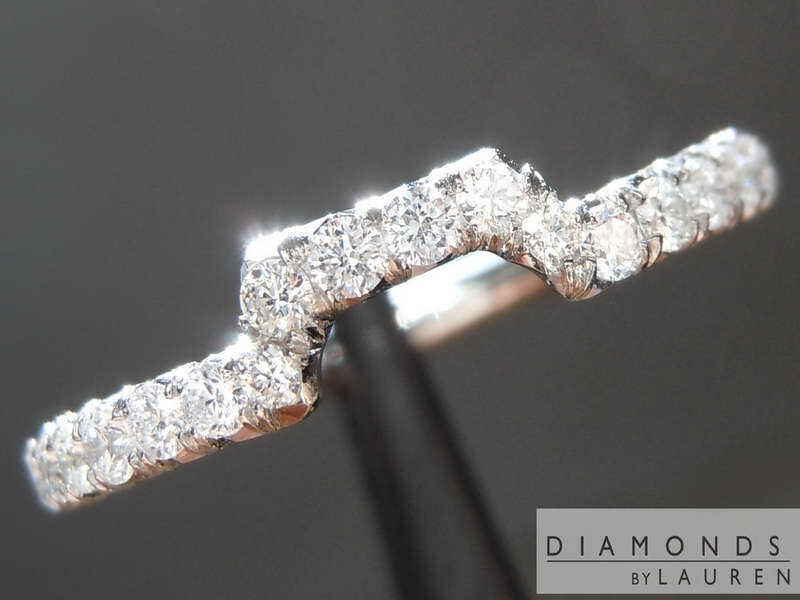 PS - instead of our Diamonds by Lauren logo in the ring, the name "Michael" is inscribed in the shank. We are not able to remove the inscription.